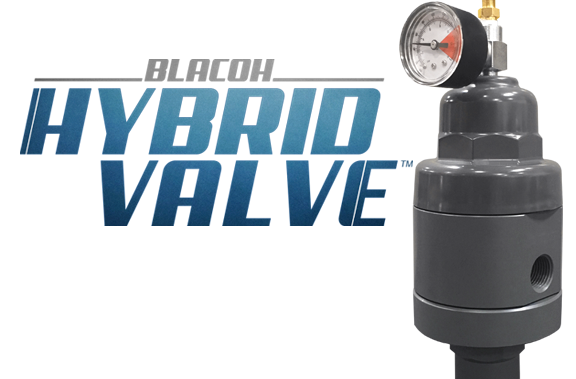 This patented design is a combination between a pulsation dampener and a back pressure valve, giving you twice the functionality with half of the footprint and leak points. Learn more and take a look at the performance graphs to see the difference. Sometimes bigger problems require bigger solutions. 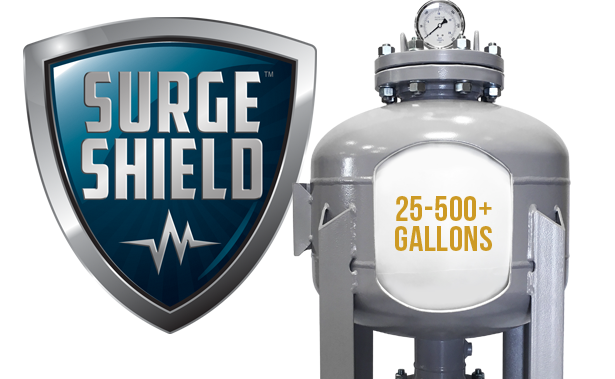 Surge Shield™ is the latest advancement of bladder-style vessels offered in 25-40,000+ gallon sizes. 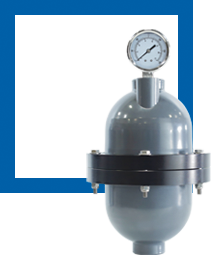 This line is designed to mitigate dangerous pressure surges and destructive water hammer. Blacoh Industries has renewed our ISO certification and upgraded to the new 9001:2015 standard. 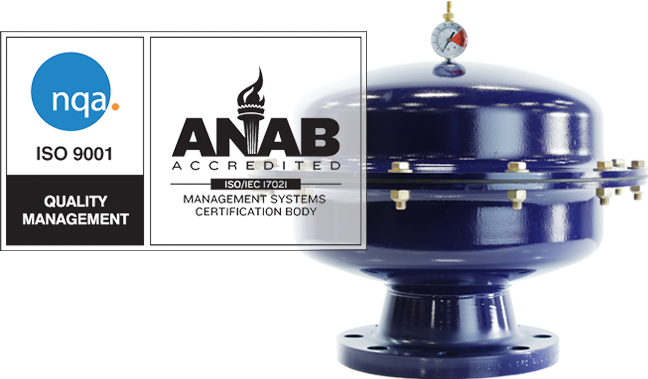 This international standard for quality management systems ensures we consistently provide products and services that exceed customer requirements. 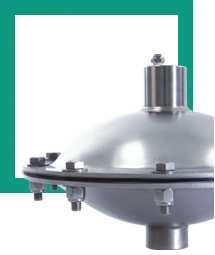 WHAT IS A DAMPENER AND WHY IS IT ESSENTIAL? 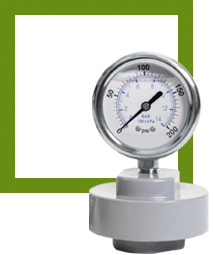 Any type of fluid pump such as Air Operated Double Diaphragm, Metering, Hose, or Centrifugal pump will ultimately create uneven pulses in your system just due to its fluctuating nature. 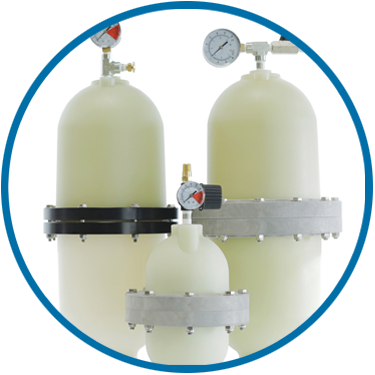 However, over time this will quickly wear out the components of your pump as well as the overall system, often leading to sudden cracks in the pump or damage to the equipment. 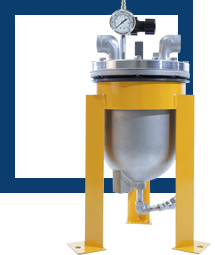 See our produts in action and get maintenance or installation help. 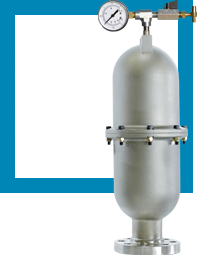 Complimentary resources and videos to increase your knowledge of fluid processes and pumping equipment. Why purchase a Blacoh product? 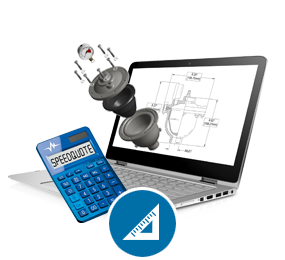 Use our return on investment calculator to see how much it saves you! Things at Blacoh are always changing and growing. Find out what’s new with us! Watch our new video series on “How To Properly Charge A Dampener” for each of our air control models: Adjustable, Automatic, Chargeable, & Inlet Stabilizer. Click here to view. Click here for a full list of our tradeshows. for the Blacoh newsletter here. 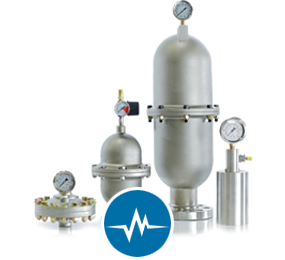 Blacoh is committed to bringing you customized and personalized assistance for your fluid application. Contact us so we can help provide the right solution for you. For our full contact page, click here. Thank you for the opportunity to present the best solutions for your consideration. An experienced Sales Manager will reply promptly with the information you requested. If this request is urgent, please don't hesitate to contact us directly. We appreciate your business and look forward to serving you. © 2019 BLACOH Fluid Controls, Inc. All rights reserved. 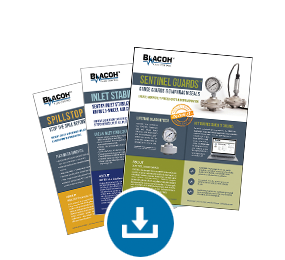 SENTRY, SENTINEL, SPILLSTOP and AODDampener are trademarks of BLACOH Fluid Controls, Inc.